#10YearChallenge: Cast of popular TV shows of 2009 THEN and NOW! This will make you nostalgic.. The trending #10YearChallenge is making everyone go berserk. All thanks to the social media FOMO. If you happened to open your Instagram or Facebook account recently, then you would have noticed a barrage of posts dedicated to the social media craze. Be it celebrities, friends or probably your cool nephew who is not even 18 is all up for this current challenge. This latest internet frenzy movement involves posting a picture of yourself that was taken 10 years ago (2007-2009) and placing it next to one that is taken in 2019. 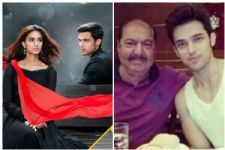 While we compiled some of the best #10YearChallenge posts by your favourite TV celebs, we thought why not remember the cast of 10-year-old popular TV shows and how they look now. Based on the life of Jhansi Ki Rani Lakshmi Bai, the show featured Ulka Gupta and Kratika Sengar in lead roles. The show aired on Zee TV and gained high popularity. Well, we don't need to remind you of this show because it's still running successfully after 10 long years. While current stars of the show are Shivangi Joshi and Mohsin Khan, the show started with Hina Khan and Karan Mehra in lead roles. 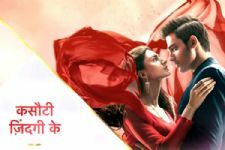 This popular Zee TV show featured Ankita Lokhande and Sushant Singh Rajput in lead roles and the show along with these actors became an instant hit. However, Rithvik Dhanjani and Asha Negi took over after these two left the show. Who can even forget this intense show featuring Ronit Roy and Aasiya Kazi in lead roles, where the young, poor yet spirited girl is forced to marry a middle-aged widower due to unlikely circumstances? This popular TV show dealt with conflicts between today's generation kids and their parents. The show gave the industry talented actors like Ravi Dubey, Sargun Mehta and Hunar Hali. 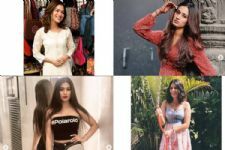 The cult show starring Neena Gupta, Ashita Dhawan, Shilpa Tulaskar and Payel Sarkar as female leads, has now been remade with actors like Girija Oak, Bijal Joshi and Chhavi Pandey. This show had a very unique concept where the lead guy gets cursed and turns into a woman. The show featured Eijaz Khan and Ragini Khanna in lead roles and made for a fun watch. Siddharth Kumar Tewary's social drama, that dealt with women empowerment gave us a talented face Ratan Rajput. This show featured Pooja Gor and Arhaan Behll in lead roles. It was one of the most popular shows of that time. We're 100% sure you haven't forgotten this one. This show featured Karan Kundrra and Kritika Kamra in lead roles and their chemistry was an instant hit. The show is still fresh in people's minds. Kya Mast Hai Life was a youth-based popular show which aired on Channel V and gave industry faces like Shaheer Sheikh, Sana Amin Sheikh and Shweta Tripathi. This show dealt with how old couples are treated in many families and how they cope with the disregard from their children. The show featured Ram Kapoor and Pallavi Subhash in lead roles. This show featured actors like Karan Tacker, Gaurav Khanna and Dishank Arora and made for a good watch. This Star Plus show dealt with a young wheelchair-bound girl and her life after marriage. The show featured Hritu Dudani and Mohit Raina in lead roles. Nostalgia much? We feel ya. Let us know your favourite shows and favourite characters from these lot. Nice article about the old shows. Love ne mila di jodi is my favourite & PriDa!!!!! Good you rectified your mistake by tagging Gaurav Khanna. Waiting for his comeback!!! Star One was awesome. I used to watch shows like Dill Mill Gayye (Sukirti was awesome as Riddhimma), Shakuntala, Love Ne Mila Di Jodi (Simran Kaur Hundal as Roshni), Yeh Ishq Hayye (Srishty Rode as Manjiri) etc. On another note, it's so disappointing that hotstar doesn't have Love Ne Mila Di Jodi, Yeh Ishq Hayee. Another show I'm looking for is Channel V's Fenil Umrigar's starring Best Friend Forever. Was phenomenal as JKR, Arti, Tanu, Kittu & continues to give rocking performance. Awesome personality with good looks. You people never tag Gaurav Khanna and instead of using his recent pic you used his 2016 or 2017 pic. And in Karol Bagh, you did not mentioned Smriti Kalra and Neil Bhatt who were the main leads. Do you people even research properly before writing? Please rectify these mistakes soon. Still good to see a nice article after days mentioning 'forgotten by many' shows.